Nathaniel Clyne says the opportunity to work under manager Eddie Howe is what swayed him towards a transfer to Bournemouth. The defender recently left Liverpool on loan for the remainder of the season in search of regular first-team football with the Cherries. His switch to the Vitality Stadium subsequently angered Cardiff City boss Neil Warnock, who had evidently been under the assumption that Clyne was on his way to the Welsh outfit. 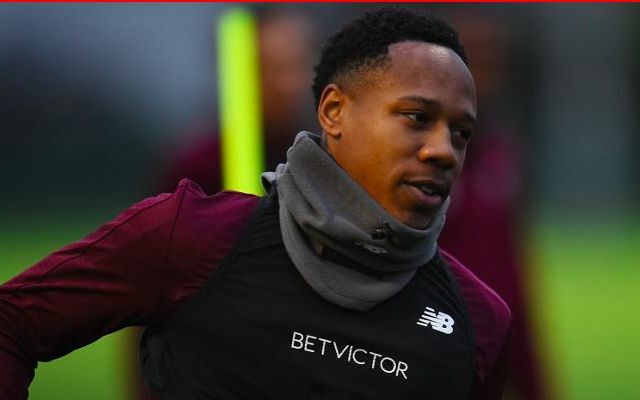 Clyne made his debut for his temporary employers on Saturday as they crashed out of the FA Cup following a 3-1 defeat to Premier League rivals Brighton. Explaining the thinking behind his move after the game, he said: “Bournemouth have a great manager and that’s what urged me to come here,” per Sky Sports. Jurgen Klopp’s decision to sanction the move came as something of a surprise amid a barrage of defensive injuries for his team over the festive period. Clyne was drafted in for his first Premier League start of the season in December’s 3-1 win over Manchester United following injury to Trent Alexander-Arnold. Though the 20-year-old has since returned to action, the Reds are still waiting on the fitness of centre-backs Joe Gomez and Joel Matip. The Reds are expected to make several changes to the team that lost to Manchester City when they face Wolverhampton Wanderers in the FA Cup on Monday night. One of those could be the introduction of 18-year-old Rafael Camacho at right-back as Klopp prepares to rest Alexander-Arnold in view of Saturday’s league meeting with Brighton. 16-year-old Ki-Jana Hoever is another option following his outstanding start to his debut season with the club’s U18s and U23s.